In an attempt to echo those who voted for “right vs wrong,” I welcome submitting my book talk given a few months ago but just posted this morning on the Library of Congress’ website. Future generations are counting on us to stand up and speak out against corruption and crony-style politics. We need to hold those charged with protecting the public interest to proper account. To that end, I hope those who will view this clip will also share it with others. I get very specific in terms of exposing real corruption, naming names, and proposing reforms. 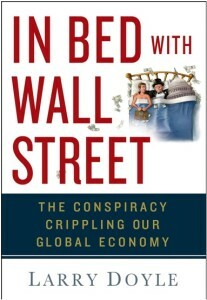 Please order a hard copy or Kindle version of my book, In Bed with Wall Street: The Conspiracy Crippling Our Global Economy. For those who are interested in contacting me, please write to me via e-mail at senseoncents@aol.com. 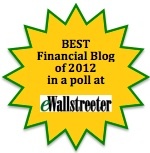 This entry was posted on Wednesday, November 5th, 2014 at 11:28 AM	and is filed under General, In Bed with Wall Street. You can follow any responses to this entry through the RSS 2.0 feed. You can skip to the end and leave a response. Pinging is currently not allowed.